Thank you to everyone who entered our January / February Competitions we had a brilliant response and I am delighted to be able to announce the winners. The Family Competition was to ‘Watch the wildlife from your window and tell us what you spot’ by sending in a photograph, drawing or even a story and you could win a Ceramic Bird and Bee Nester and a Ladybird and Insect Tower. The winning entry was from Ryan Cinato age 6 from Luton and he sent in a lovely story about what he saw one night through his bedroom window. We loved his story about the fox eating his dinner and it also showed his enthusiasm and commitment to feeding and caring for the birds and wildlife that come to his garden. In response to Ryans hedgehog query ‘What do hedgehogs eat?’ we have the ideal solution and our Hedgehog Food has been trialled by the British Hedgehog Preservation Society, for more information take a look on our website. The Schools Competition was to ‘Design a Garden for Wildlife’ and you could win a Bug Board and a Hogitat Hedgehog House. We had some lovely colourful designs and it was very hard choosing a winner but the winning school was The Greetland Academy, Halifax and the winning entry was by Molly Stevens. 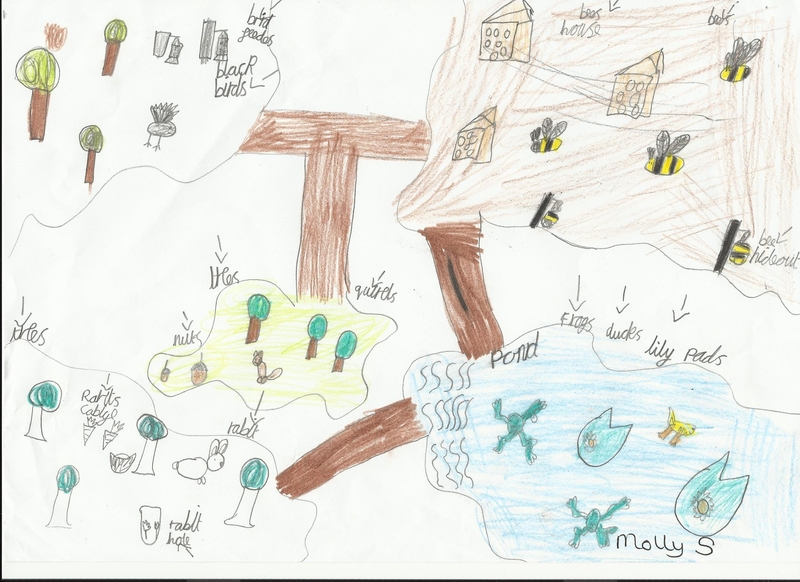 Molly’s design was well thought out with separate areas within the garden for Birds, Insects, Animals and Pond Life and was beautifully drawn too. Congratulations to everyone your prizes are on their way and don’t forget to take a look at our current competitions.